Per eMarketer, almost four billion dollars in advertising budgets were spent on Facebook ads during the past year, and that number is expected to grow to more than six billion in 2014. Meanwhile, Facebook continues to grow its user base as more people join the world's largest social network and spend more time within its walls. ComScore reports that the average Facebook user spends more than 6 hours on Facebook each month. 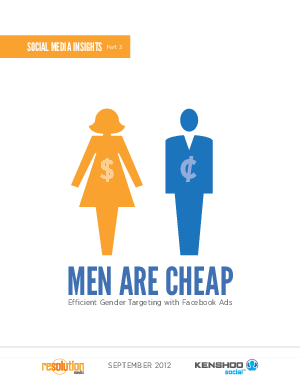 This report answers important questions about how women and men engage different with ads on Facebook.